VTT Technical Research Centre of Finland Ltd is a state owned and controlled non-profit limited liability company established by law and operating under the ownership steering of the Finnish Ministry of Employment and the Economy. VTT is an RTO whose activities are focused on three areas: Knowledge intensive products and services, Smart industry and energy systems, and Solutions for natural resources and environment. VTT is impact-driven and takes advantage from its wide multi-technological knowledge base to strengthen Finnish and European industrial competitiveness. VTT can combine different technologies, produce information, upgrade technology knowledge, and create business intelligence and value added for its stakeholders. VTT is ranked among the leading European RTOs. VTT is a member of Hydrogen Europe Research. 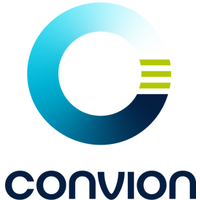 Convion Oy is a leading supplier of fuel cell systems, focusing on the commercialisation of products in the power range of over 50kW for decentralised power and heat generation. Convion’s employees have more than 10 years of experience in the development and commercialisation of energy-efficient and zero-emission fuel cell systems. The company’s owners include VNT Management and Wärtsilä. BlueTerra is an independent energy consultancy specialized in energy savings and local energy solutions for the industry, agriculture and the built environment and with a lot of experience in the field of (micro-)CHP. Within their projects an integral approach is combined with expertise ranging from technology and economics to legislation and policy. Sunfire GmbH develops and manufactures systems for renewable industrial gas and fuel production. These substitutes for mineral oil and natural gas, known as e-gas, e-fuel or e-chemicals, replace fossil fuels in existing infrastructures. The solid oxide cells (SOCs) used for the conversion process are also used as generators to provide electricity and heat. 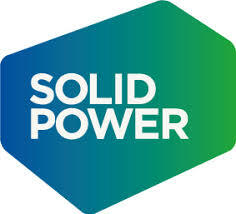 The SOLIDpower Group is one of the world’s leading companies in the field of high-temperature fuel cell technology (SOFC, solid oxide fuel cells). The Group develops, manufactures and markets fuel cell systems for generating power and heat in residential and commercial buildings at locations in Italy, Germany, Switzerland and Australia. Politecnico di Torino, Department of Energy “Galileo Ferraris”, STEPS – Synergies of Thermo-chemical and Electro-chemical Power Systems – is a research group part of the Energy Department of Politecnico di Torino, focusing his research on thermo-chemical and electrochemical processes for hydrogen and synthetic fuels generation from renewable energy, CO2 recycle and SOFC systems. STEPS group is involved in international and national research projects and collaborations.